There are various ice crushers available on the market, but the one which offers commercial features in a domestic guise is the Waring ice crusher. This sleek and elegant looking machine crushes cubes or chunks of ice into ice flakes or finer chunks perfect for that caprioska! With a powerful motor, this ice crusher is able to crush ice easily and (kind of) quickly. It is a product apt for domestic use, and offers good efficiency. It is so reasonably priced that anyone who has even a remotest of fascination for slush puppies or ice plates for oysters should contemplate this little puppy. Let us check out what to expect and what not to expect from this product. The Waring pro ice crusher machine is a high capacity, powerful ice crusher, which can crush about 50lbs of ice in an hour. Good enough for home use, a small bar or café it can make and store enough (12 cups) crushed ice. The commercial grade operating mechanism and heavy duty motor make this ice crusher extremely efficient. This electric ice crusher is far better and efficient than its manual counterparts. 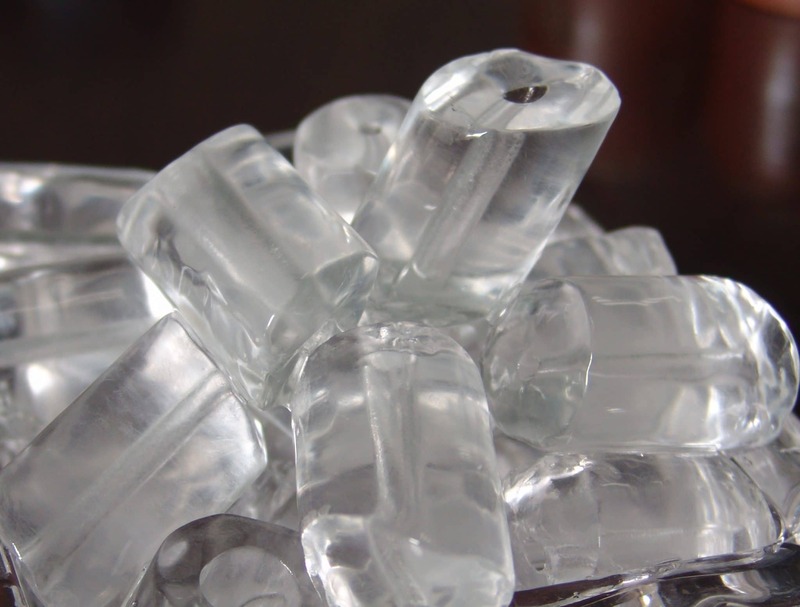 It makes ice crushing effortless and the quality of crushed ice is much better than the one you get using manual ice crushers or food blenders. All you have to do is to shove in some ice cubes, press the power on button and it does the rest. Let’s face it; an electric ice crusher is not something of a necessity; but neither are our barbeques, ice makers, or other such gadgets. It’s all about making things better and simpler. If you love to have crushed ice for your drinks, or like to chew on some ice, then maybe an electric ice crusher is for you. It’s a great companion for summers when you like to beat the heat with chilled drinks or flavored ice. It also lets you make enough crushed ice to make ice beds for serving or storing salads, cold cuts or other similar food items. You can put your creativity to work and make numerous iced delicacies using crushed ice. It is a semi-professional ice crusher that is able to make 50lbs (25kg) of crushed ice in 1 hour. The powerful 150 watt motor and heavy duty stainless steel blades crush ice into pea size chunks in no time. It has a large capacity, and can easily hold up to 12 cups of crushed ice. The machine is extremely easy to operate. There is a single on off toggle button that you have to use to operate the ice crusher. You can put reasonably large sized chunks of ice through the wide mouthed funnel for crushing. The brushed stainless steel build renders it strength and durability. The machine measures 9.5”X 6.25”X 15.25”, so even if you are not planning to use it quite often, it will comfortably rest on your countertop without occupying too much space. It also comes with a recipe book to make the most of your new found ice crushing abilities. This is not the ice crusher for an oyster bar or seafood restaurant 50lbs of ice may sound like a lot but that requires someone to stand there for an hour and feed ice through the machine. This is a home or small commercial grade appliance. It makes pea sized chunks of ice or variable sized ice shavings. If you are planning to make snow cones or other things that require finer ice shavings then this one might not be the perfect product for you. 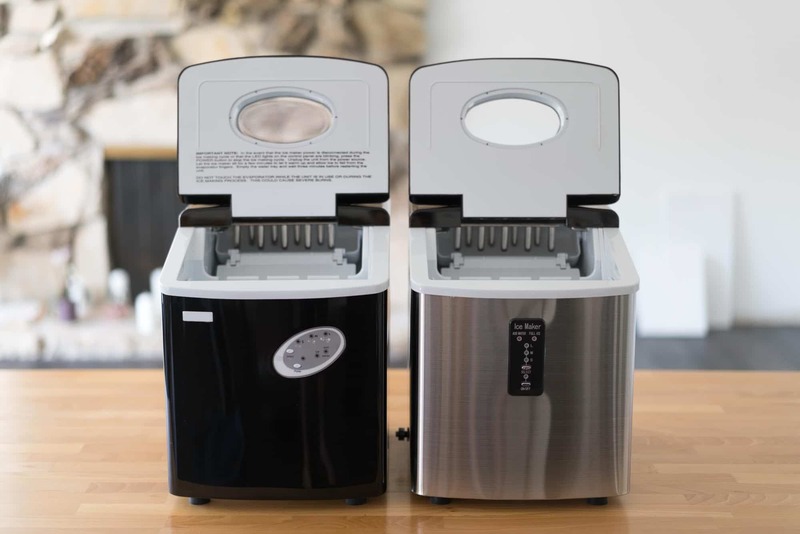 If you are out in the market for an ice crusher for home use, then this one makes a great choice. With its commercial grade features, ease of use and a reasonable price, this one certainly outshines the competition.